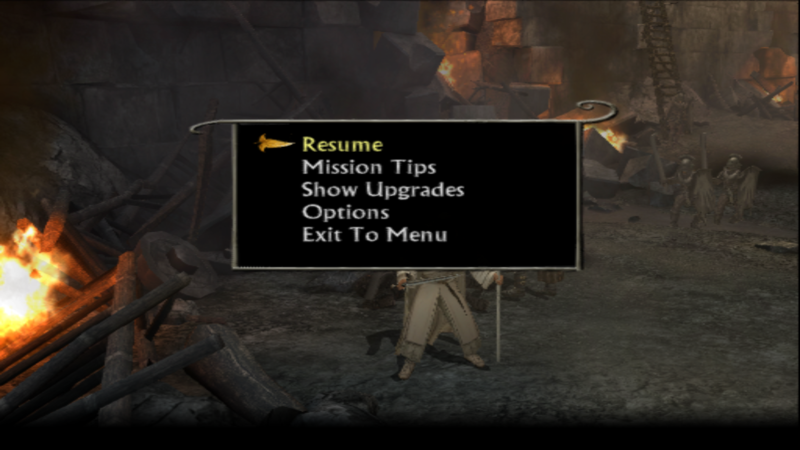 When im trying to play Lord of the rings The return of the kiing, it works fine. But some of the text wont show. Does any text show anywhere? If not, try using Full Boot instead of Fast Boot, some games rely on the BIOS to set the language. Windows 10 pro, latest update. And i will try another boot, when i boot the game. OK but what PCSX2 version are you using? Confirmed text is missing (in latest developer builds as well), but only in Direct3D11. Shading in the background looks pretty nice, makes sense since it's a Snowblind Engine game IIRC. Thanks guys, you`re all great. DX11 has a thin black line on the right side of the frame. I wonder if disabling the Nvidia hack would remove that.